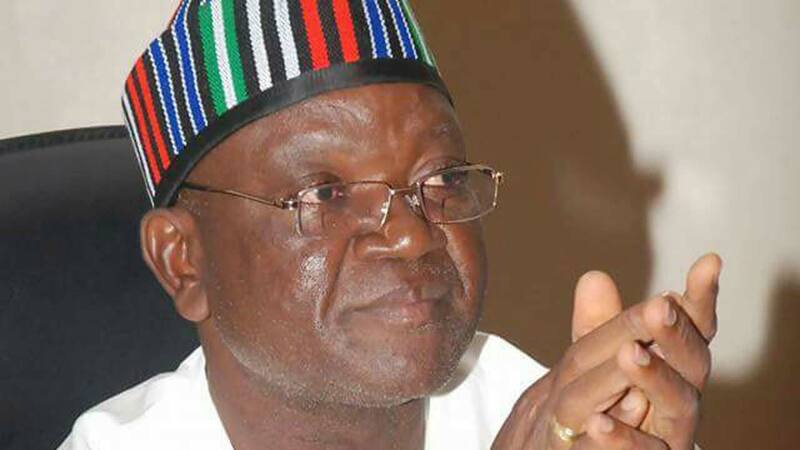 The Benue State Governor, Samuel Ortom, has decried the destruction of his campaign materials in Gbajimba and Daudu in Guma, Wannune in Tarka and Lessel in Ushongo Local Government Areas of the state. His Special Adviser on Media and ICT, Tahav Agerzua, said this in a statement made available to newsmen on Saturday in Makurdi. The governor called on the Police and other security agencies to arrest and prosecute those found culpable. ”I call on law enforcement agencies to investigate, arrest and prosecute all those who breach the peace and assure them of support to take necessary steps to forestall a breakdown of law and order in the state,” he said. He said that he did not have any antecedent of violence in his close to 40 years in politics and had never resorted to violence and the use of thugs to prosecute his campaigns or win elections. Ortom reminded the people that anytime he was called upon to promote a peaceful political process he made himself personally available and also personally signed agreement for peaceful conduct of polls. ”I am committed to peaceful elections in the state and call on all stakeholders to eschew violence and conduct that could trigger a breakdown of law and order. ”I appeal to my supporters in particular to exercise restraint even in the face of extreme provocation and to report any person or group who breached the peace to law enforcement agencies. ”This has become necessary to reiterate my position following accusations that I stopped the rally of an opposition party in Gbajimba, Guma Local Government of the state. ”No one hindered the opposition from using the IBB Square in Makurdi nor disrupted their campaign flag off in Makurdi which is the state capital. ”Attempts to link the governor with a failed campaign effort in his home Local government to smear his name is therefore baseless and unfounded to say the least. ”I did not instruct, direct any person to disrupt or stop any rally anywhere,” he said. Also, the All Progressives Congress (APC) in a statement issued on Friday and signed by its Director-General, Jime/Ode Campaign Organisation, Sen. Jacob Gyado, said the party had put off its campaign in Gbajimba the headquarters of Guma local government of the state. ”This is due to the insecurity situation arising from the violent disruption of activities at the campaign ground in Gbajimba by gunshots which we strongly suspect is the handiwork of militia sponsored by the PDP in Benue state. ”The public and particularly supporters of the APC are enjoined to be calm and peaceful and await further information. The matter has already been reported to the relevant security agencies,” he said.